Sandra Bullock has had something of a renaissance in the last decade, tackling emotionally nuanced roles with aplomb and empathy. Bird Box is no exception to this, and as reluctant-expectant mother-artist-recluse, Bullock plays an admirable, realistic woman. When the apocalypse happens and all semblance of reality goes out the window, Bird Box doesn’t quite manage to capture the fear this sudden uncanniness inspires in its protagonists. The rest of the cast labour under their labels – Olympia (Danielle Macdonald) is sweet and maternal, if naive; Douglas (John Malkovich) is selfish and boorish; Tom (Trevante Rhodes) is selfless and brave; Greg (BD Wong) is gregarious and clever; Gary (Tom Hollander)… well, he is a whole other story. But for the star-studded cast who fill out Bird Box, the movie belongs to Bullock – for better or worse. The narrative, emotional, and logistical mechanisms of the plot rests squarely on her shoulders, and her arms are already full as she takes two five-year-old children along a harrowing journey down a river. The trailer makes clear that they are running from something – creatures who manage to make you see your worst fears, the things that sadden you, or the things you regret. Somehow, though it is never explained (one of a few failings in Bird Box), these visions end in their hallucinators committing very violent suicides. 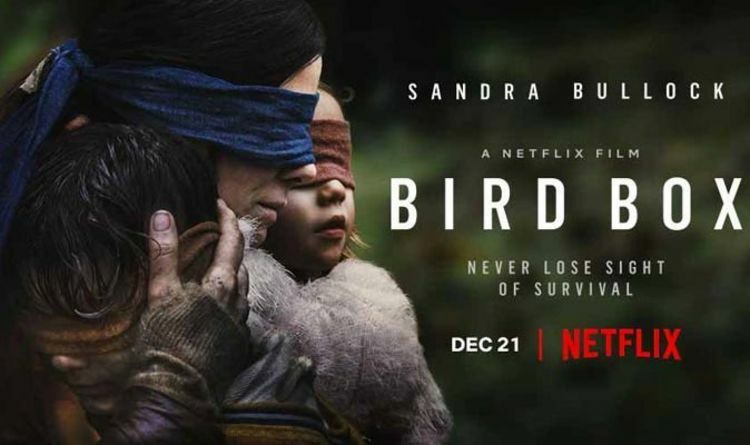 Bird Box (directed by Susanne Bier and based on Josh Malerman’s novel of the same name) has bursts of energy, fear, and deep empathy, but it is dampened by a lengthy runtime and too-obtuse mystery. On the surface, Bird Box reads like A Quiet Place – just swap hearing for sight, but another similarity is far more troubling in the two films. Both movies use pregnancy and childbirth as a shortcut for women’s trauma, and the idea of maternal instinct becomes an easy motivator for survival, for self-sacrifice. Would these women be as compelling to watch if they were on their own, a la Leo in The Revenant? Would we afford them the same attention and reverence as we would Tom Hanks in Cast Away? Whatever your feelings about children and motherhood, what Bird Box at least offers is a different kind of maternal care. Bullock does not coddle, and the core nature of her character does not change because of the threat posed to herself and the children under her care. Though it has a thought-provoking theme, Bird Box ultimately falls short of making you fear what they fear, perhaps in part because nothing is ever shown; neither the creatures nor the deadly visions they inspire. The official plot description from Netflix reads: “In the wake of an unknown global terror, a mother must find the strength to flee with her children down a treacherous river in search of safety. Perhaps the attempt was to make the audience feel as in-the-dark as Bullock and the rest of the world’s inhabitants. If so, it fails and instead leaves a more curious viewer frustrated by a seemingly pointless lack of detail, of description. The supporting cast does incredible work with two-dimensional characters, all of whom too obviously serve the greater plot arch – getting Sandra Bullock and the two kids up the river. And it is the river which feels like it poses the greatest threat to them, not the very thing the audience is meant to fear. Bird Box will launch in select cinemas from December 13 and on Netflix on December 21, 2018.